Depression is not a sin. In India, people will take medical treatment for impotency but they will never take aid for depression or related bipolar disorders. That is something we all noticed as doctors. The stigma of mental weakness was too humiliating to even disclose let alone treat, the individual's suffering be damned. This is the Indian way of treating depression, is it not? Bury it deep under the carpet and tell the person to just move on. Raped? Move on. Cheated? It's okay. Failed? Don't tell the neighbours. One ten minute conversation and you feel you have done your job. They are expected to just start doing back flips and smiling for you again. That is not the way it works. Any number of reasons can cause a person to entertain suicidal tendencies. Their faith has been broken, their hopes ripped. That is not something that heals in ten minutes. They are not different from you – they have just undergone events that have affected them harder and they need someone to be by their side. Your friend did not commit suicide because she failed humanity… she committed suicide because humanity failed her. Do you understand that? We brought her down to her knees, cheated her, broke her, showed no sympathy, ignored her as though her sorrow was contagious, gossiped about her in stage whispers which reached her ears and took judgmental moralistic stands because we saw ourselves as being superior to her at that point in time. Do you see it now? YOU failed her so don’t ask God to forgive her… if you are a true human being, ask God to forgive you for not making the effort to save a life you knew was in peril. Just because there were no splashes of water in a person drowning in sorrow does not mean you cannot see she needed help back to the shore. You did not wish to be associated with the mess she was in. You were scared of how the public would react seeing you associating with her. You did not think it was serious enough to be a big deal. Others had been raped/ bankrupt/ broken hearted/ cheated before… it is not like they all commit suicide, right? Right? You really just did not care enough about her as a friend to want to help them. If your reason lies within these points, it is time to re-evaluate your stand as a friend for others. More importantly, it is time for your friends to re-evaluate whether they want a fair-weather buddy like you in their lives. To those of you losing that will to live, I would like to share certain things I learned along the journey of life, both as a doctor and as a human being. Find your support system. I don’t mean a public shout out via status updates to 800 friends on Facebook. I mean, the two or three close friends you can see yourself trusting with your inner most feelings- friends who will listen to you nonjudgmentally whenever you call. Allow them to catch you every time you fear you will fall. Do not judge them by the same yardstick of fear as the ones who have hurt you. There is always someone who cares, if you give them the opportunity. Do not shut them out of your life. Change your focus. During the moments of darkness, everything else seems to fade away. Sure, you are walking to work and you are sitting down to eat but it is all just actions by trained behaviour. Your mind remains fixated on what is tearing you up inside. The only way to stop being victimised by your own mind is to divert yourself away from its monologues. Change your routine so that you need to refocus on what you are doing. Take up a hobby, talk to people. Eat sushi or learn to crochet with your granny – I don’t care. Do anything as long as it forces you to engage in conversations with others and diverts your mind. That mind is your prison and you need to stop living in there. The fear of what could harm/hurt you is more devastating than the actual event itself – it is a whip that keeps lashing at you long after the incident(s) has/have occurred. That is the sad part – even if you do follow my advice and keep yourself busy throughout the day. At night when the lights go out and you lie down to sleep, that prison door opens up once more and you are trapped within again and it is a fiendish place to be. So often, it is a broken dream that starts people off on the road towards committing suicide. A failed love affair. Bankruptcy. A violated trust. It is the hardest thing to do to just keep on walking when your dream has been ripped apart. I know it. Trust me. I have watched the biggest dreams of my life all taken away from me and made a mockery of. And I have walked the same dark road… which is why I can tell you this: sometimes it is better to lose the dream. It may have been the one thing you desired with all your heart, but you know what? At some point of time in your life, it was not. There was an earlier dream and perhaps one before that – you just lost out on one dream. Let it go. It meant the world to you... but let it go. Accept the loss and move forward. Don’t seek out revenge. My naivety put me in contact with some of the worst people I have ever encountered in my life. Financially rich and morally bankrupt, they covered their lies and crimes with the cloak of bank notes. For a long time, I desired the worst for them. But that just had them living in my head, did it not? The desire to inflict pain upon them was consuming me, not them. I was the one losing out on the joys of living. The day I stopped thinking of them as being relevant to me and cut them out of my life was the start of my rebirth. I rebuilt my life and changed my dreams and goals. Like you, I did not even know what I wanted anymore in life… I just knew that I did not want to remain this hate-mongering person I had become. I chose to focus on small moments of happiness, took up the 100HappyDays challenge and actually completed it and even today, am basking in the success it had brought me. It all started with that moment I stopped caring about the ones who hurt me. Cut out fair-weather friends. I cannot stress this enough. It does not matter if it is your mom’s favourite brother or the best friend whom you have known all your life – if they deliberately choose to stay away from you in your time of need, they are not worth having around you once you make it around the corner… and you will make it around the corner. Trust me. In my worst moments, I was shocked to see how people who I had trusted all my life refused to pick up my call. They knew I was down and just could not find time (for an entire year and a half) to respond. These were people whose happiness I had prayed for, who I had motivated in their moments of insecurity and watched fall and rise. They cut me off for one or the other of the reasons I spoke of at the start of this post. And guess what? I realised that I could live without them! Ta daa! I cut off ties as well and made it through with those who did stay by my side. And now, when they do call or send a ‘fresh’ Facebook friendship request, I realise that I do not value them enough to have in my life again. Turning away from fake friends, I chose to be with those who needed me. People in sorrow due to personal loss or hurt. It wasn’t a fetish – it was just that I always believed I made a damn good friend. Helping them get through their emotional pain took a lot of time and effort; hours of motivation sometimes undone by weak moments but they made it through. Against their own beliefs, they made it through in life and are now in much better sequences of their life story than they ever thought possible. 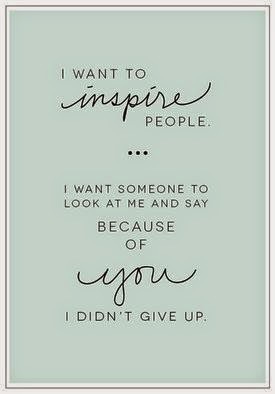 Helping others helped me too – it gave me a sense of purpose and helped me believe that I could make a difference in others lives. Time is the only true healer. Accept that. 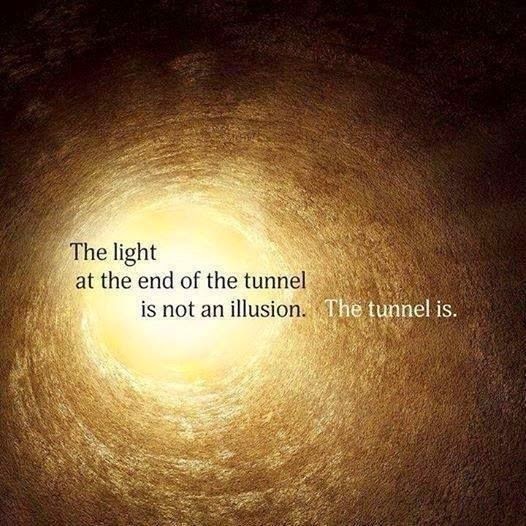 The pain will subside in time and a stage of acceptance will set in. I have seen it in my friends and I have lived it myself. Above all else, do not give up on humanity. If somebody has betrayed you, that speaks of his/her character, not yours. Do not turn to God to smite them down – God does not work that way. Do not blame every one of his ‘kind’ (culture/religion/../whatever discrimination you hold) for his actions. There are good people. 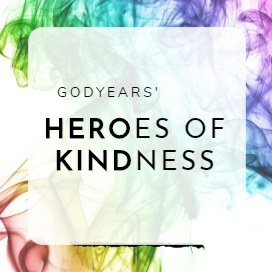 There are always good people. When I was at my lowest in life, I remember what dark thoughts crossed my mind. But I also remember one line I told myself even when I had no idea how I would accomplish it. 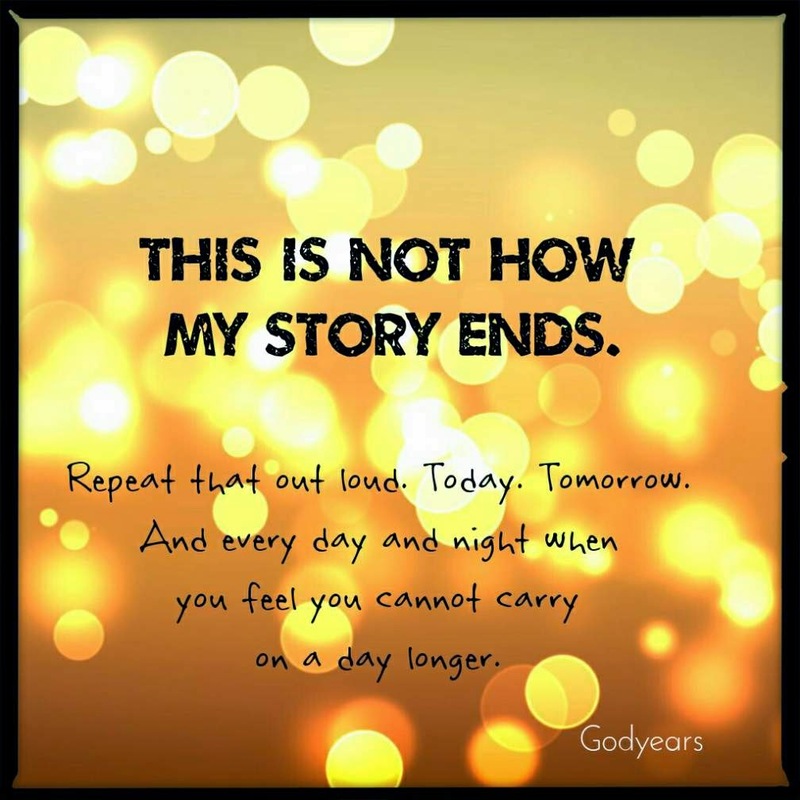 That line was simply this – ‘This is not how my story ends.’ Repeat that out loud. Today. Tomorrow. And every day and night when you feel you cannot carry on a day longer. When all of this fails and you feel it is not worth living anymore, pick up the phone and call someone. Any one. Preferably someone you can trust but anyone will do, honestly. Reach out to someone and get through that moment of helplessness. Don’t be afraid of change. It is inevitable. And sometimes, it can save your life. A few years ago, I was a loser doc who had been cheated on and was being trampled by people with a far greater reach than my own. I was, as the Creed song goes, six feet from the edge. Was. That’s the key word. 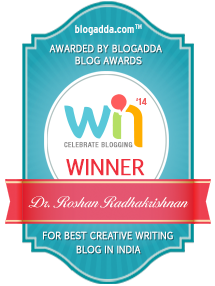 I have an award for the Best Creative Writing Blog in India sitting on a cupboard in my living room. I have been a speaker inspiring 1000s of young minds, alongside stars like Raveena Tandon and Sachin Pilot. 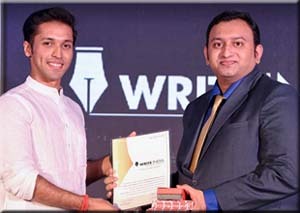 I am the only Indian to win First Place in both Season One and Season Two of India's largest short story contest, Write India. I have over a dozen published stories in books across the country and over a dozen more in books online. I have been interviewed by dozens of media outlets, ranging from the Indian Express to BBC. I receive fan mail from total strangers and have become great friends with so many of them. 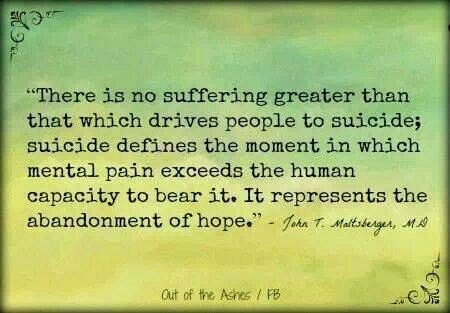 I have saved more lives and relieved the pain of more than I will ever be able to count. I have made my parents proud. Good. Because I want you to have your own 'show-offy' list a few years down the line. Right now, you think that is impossible. Here's the thing, though. None of the things in my list would have been possible if I had given in to the grave thoughts that once was a constant plague inside my mind. I never knew I even wanted some of these dreams till they happened. You will turn your life around. You will succeed. It will be a new you and it will be a new dream you have not dreamed or probably even envisioned yet. But you will succeed in life. Against the worst odds, you will succeed. 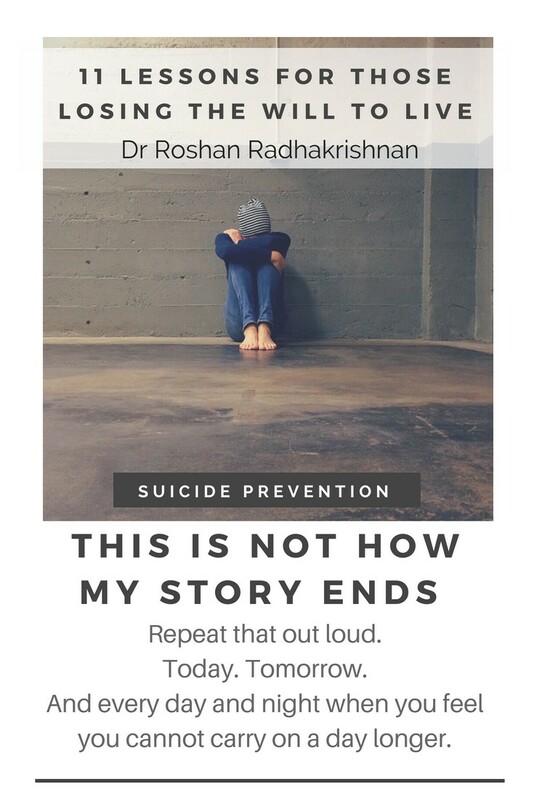 Every year on September 10 - World Suicide Prevention Day, I write on the topic of Suicide Prevention. Have a support system - That was the best advice I got when I was at one of the worst places of my life. I still cant thank that teacher enough. And it is so important to cut down from fake friends, who will run in the opposite direction as soon as they smell a problem. I certainly hope it makes a difference in someone's life somewhere... I would like to think it does, infact Ritika. Good one... "This is not how my story ends" .. Very strong words..
thanks Sumana... they were to me. Very motivating post. Introspective too. Thank you for being the person I call when I'm down in the dumps.... You ARE A DAMN GOOD FRIEND. My MIL is a patient of depression. She's had two major attacks. The Boy was very young during the first one. The second happened a couple of years back. The parents did not tell us. When we went to India after about 2.5 months, they told us the whole thing. It was very sad to see her. She would cry the whole day. She could not sleep. She just wanted to die. We did not know what to do in the three weeks that we were with them. I suggested Art of Living. She went for it but the situation did not change much. I ultimately looked up for psychiatric help online. It felt weird to search for it but I still did. When I told my FIL about a doc he said he knew him. My MIL was not ready to go. But we emotionally blackmailed her and then she did. Within two days of medication she was fine. There is some chemical composition that changes in the brain. 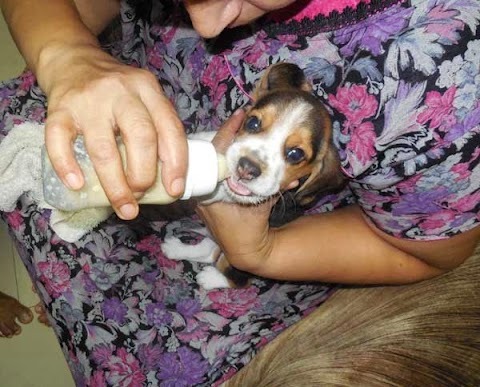 All she needed was some meds because otherwise there was nothing that was bothering her. Had my FIL told us before we could have racked our brains and come up with a solution. We are always so worried about giving tension to our family! We are also shy of sharing our problems with the world. We'll do a Big Fat wedding, but when it comes to short comings, we are just a nation of cowards. Problems need to be shared. More than happiness. I hope so... I really hope so. Yeah!!! Accepting all the words!! It is true that it is not they who failed it is the failure of humanity and everyone should know that, accept the fact that "sometimes it is better to lose the dream" . It is true!! I hope that people won't go for a full stop when they feel they can't instead they will find many more reasons to live their life! I always felt that way... that we only failed them. That feeling was truly heightened with Robin Williams death... we made the world's most funniest man lose faith in humanity. True, true,its humanity who fails them. And couldn't agree with you more on the stigma Indians associate with suicide and our approach to those being suicidal...that's the beginning, I woould say. Our attitude should change. Roshan, this is a very honest and powerful post with a strong and positive message. Your words will touch many hearts, touched mine and a lot others here. A very nice post Roshan. I wish more people read it..esp someone who's going through a low. i sincerely hope so too... do share with those you feel need it. At one point or the other we all have walked down that road. . It is during that we will truly realise who will stand by us and who will not. . In our country people have a tendency to assume the bad things will never happen to them and only to the neighbours. . Only when we realise it can happen to us or our close ones we will be ready to face it. . True... the main problem is we see a friends list or a contact list with 500 names and then we find there is not one whom we can call or whom we trust. That just aggrevates a bad situation, making the person feel more isolated and distrusting. It is really important to seek help and treat this as a health check-up, rather than a stigma. I agree... I really wish more people would be willing to seek help and medical attention.. the family needs to be more supportive and stop worrying about what the goddamn public thinks.. Such a thought provoking and superbly powerful post, Doc. It's so true about life, fair weather friends and dreams. Tis too shall pass! A hard-hitting and honest post, Roshan. You've written some very important steps one can take to stay connected too. Thank you for adding your unique voice to this effort! Awesome post Radha! Now this one is truly a heart hitter! Thanks Dan... you're one of those who was there during the bad times... trust me. All the good that you do for others will find its way back to u some day..
Roshan, this post is absolutely realistic, down-to-earth and hard-hitting. It is important to have genuine friends, the number is irrelevant. It is more important to be a genuine friend. The stigma associated with mental illness prevents people from acknowledging that they may have a mental disorder, sometimes even to their immediate family and closest friends. If the person crosses that barrier and speaks to his/her family or close friends, then the family / friends are extremely reluctant to approach a doctor or a counsellor. This stigma needs to be removed. We need to understand that a psychiatrist treats the brain just as a cardiologist treats the heart. The brain is just another organ of the body. We don’t look down on heart patients. Why should we look down on ‘brain patients’? I meant what I said in an above comment: I have seen grown adults and even NRIs settled abroad since decades refuse to accept that it is depression and instead explain it away as demonic possession. They would order the Hindu variation of an exorcism within the house (which is pretty damn scary, actually) but they would not consider starting the person on "doctors' medicines". What can I say? I guess there are a lot of cases of demonic possession in that case and no cases of depression at all..
because she failed humanity… she committed suicide because humanity failed her... Completely agree with this. Thought provoking post!